Manthanites at Vikaspuri and Paschim Vihar Sampoorn Vikas Kendras in Delhi enthusiastically celebrated the Independence Day today. 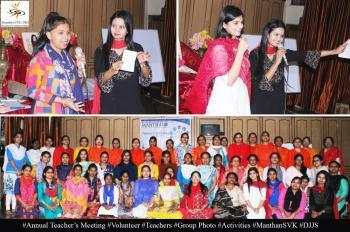 Both the centres organized exciting activities spreading colors of patriotism all around. 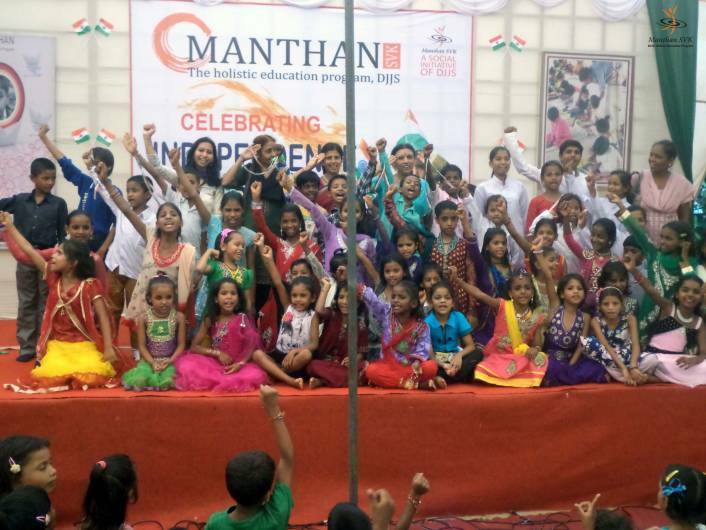 Students presented exuberant dance performances and sang patriotic songs. Impactful skits were also presented. Mrs. Amrita Dhawan, Councillor, Vikaspuri, was also present to grace the occasion. 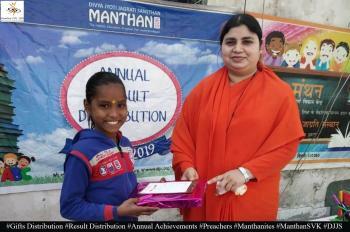 She was overwhelmed to see the dedicated efforts being put in by Manthan-SVKs to bring the street children at par - academically, morally and socially as well. Indepence Day celebration was directed towards making the students aware of their responsibilities towards the nation and work for its progress. Filled with patriotic feeling, students were happy to have exhibited their talent on stage.